Door Access Control systems are imperative for all businesses, whether you operate an office of 100 or own a office of 25 users. They are one of the best ways to ensure commercial security for your business. But why should you choose to have a Door Access Control System installed? Aren’t they expensive and complicated to operate? Aren’t they only meant for gold shops and banks? Here are some things you should know about this Systems, which should hopefully clear your doubts and convince you to get one installed in your business today. What is Door Access Control System? Door Access Control generally refers to a system that can control, monitor and restrict the movement of people, assets or vehicles, in, out and around a building or site. The benefits of using an door access control system include the prevention of loss or damage to capital assets and the reduced risk of personal injury to staff and visitors. Door Access control applications range from controlling a single entrance door to managing a large complex site. Smart Cards: Smart cards are small and tamper-resistant. They hold, transmit and encrypt data. Biometric: Biometric or body measurement, such as a fingerprint or retinal scan to reliably identify authorized persons seeking access. Face Recognition: Face recognition has distinct advantages because of its non-contact process. Face images can be captured from a distance without touching the person being identified, and the identification does not require interacting with the person. Reasons why Door Access Control Solution is important to your Business? Access control is simple way to increase security and efficiency in any organization. Access control system completely eliminates the rumpus of carrying loads and loads of keys for larger vicinities. On losing of key the lock has to be replaced for the fear of some intrusion. However, in case of access control system the lost access cards can be deactivated with immediate effect. With access control system there remains no chance of leaving any door or entry point locked intentionally or unintentionally. The doors with access control system get automatically locked once they are closed. The households with domestic staff can control their entry with the help of this system. While they can allow them to enter in the living room or lobby, the bed rooms can be kept out of their reach. Access control system is innovative and pioneering enough to allow or forbid the entry through various doors in a customized way. Entry can be customized as per the timing also. The access control system doesn’t require one to be an electronic engineer for its management. The access control service providers give a full-fledged training to dwelling owners. You can save money and improve security by automatically managing access at entrances with the swipe or scan of an access control card. HUTAIB Door Access Control Advantage! We are the leading supplier of FingerTec Door Access Control systems for small to medium-sized businesses. Delivering complete solutions featuring Door Access Control software, Door Lock Units, Remote Control and biometric systems. We also provide Door Access Control software through cloud-based software as a service (SaaS) hosted solutions. Web-based solutions offer a number of advantages to organizations of all sizes, including reduced implementation costs, fewer maintenance and support concerns, as well as instant updates and upgrades. 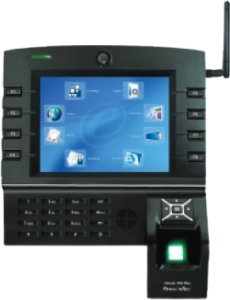 Perfect for companies wanting an economical PC Based and feature rich Door Access Control software and terminal solution. We can integrate the access control system to time attendance system. We provides access control security systems to organizations of every size. You’ll find it easy and affordable to integrate your photo ID, access control, time and attendance and other functions into a single card. We design and implement solutions that combine conventional methods and face recognition systems to create a new holistic experience. We offers customized Door Access control solutions. We Design, Supply, Implement, Upgrade, Maintain & Support the viable Door Access Control Solutions for our valued clients.